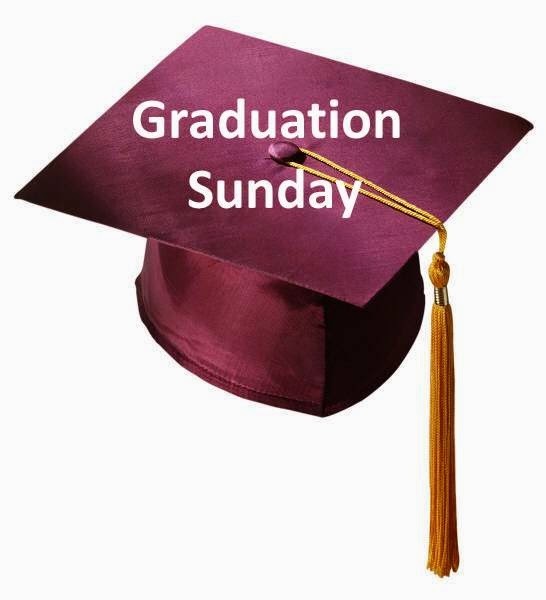 It's coming on that time of year again where the church's children will be graduating from high school and preparing to face the world independently. We raise them for 18 years, preparing them to enter college and/or the world of work. We hope and pray we've instilled Christian values, a work ethic, a passion for life, and the strength and courage not to be afraid to be God's child in a world that continues to reject Him. This is the moment we set them free and trust that God will guide them and bring them to fruition according to His purpose. How do you send them off? With the support and prayer of the church. (And maybe a cake.) I've posted on how to keep them connected with the church before. See that posting here. Child of God, in your baptism you were sealed by the Holy Spirit and marked with the sign of the cross of Christ forever. Know that as you travel the road of life, the love of God goes with you everywhere, always and forever. Receive this (in this case the gift was a blanket) as a sign of God's abiding love. Know that each time you (feel its warmth, touch it, look at it) that you are loved, supported and remembered in the prayers of this community. Gracious God, send your blessing upon these your faithful servants. Give to them a renewed sense of your call and purpose wherever they live, work or play. Grant them courage to take risks, to struggle, to fail, to wrestle with doubt, to live in trust that you welcome them with arms outstretched in mercy. Remind them that their hope is not in right answers, right behavior, or even right belief, but wholly in you and your love for the world. Guide them in their successes that their achievements would be done to your glory and serve the well-being of your cherished creation. Strengthen them in your love and keep them in faith. In Jesus' name we pray. Amen. A handmade cross to hang on their dorm room wall. A framed collection of favorite uplifting Bible verses put together by their youth group friends. A book of memories. (See a previous posting here.) With the thousands of photos kids take this should not be a problem. Be sure to add memorable/funny quotes! Put the photos into a slide show of some kind they can take on their laptops, iPads, or phones.